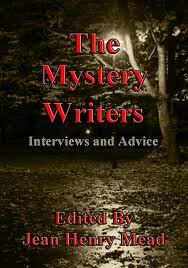 How To Write Mysteries: Advice From Novelists Including Me. Fifty-eight mystery writers working in 12 sub-genres including thrillers, cozies, police procedurals, and hard-boiled detective novels contributed articles and interviews to The Mystery Writers, a new book of advice on how it’s done. I’m honored to be included along with the likes of Sue Grafton, Lawrence Block, and J.A. Jance. The book was edited by Jean Henry Mead and published by Medallion Books. It’s available in both paperback and kindle editions. You can get your copy here. This entry was posted in Uncategorized and tagged Bruce DeSilva, cozies, hardboiled, j.a. jance, Lawrence Block, mysteries, noir, police procedurals, sue grafton, the mystery writers, thrillers, Writing Advice. Bookmark the permalink.